SPIRA Designs Floral Jewelry Ring Dish in Gift Box by SPIRA Designs at SCRHI. MPN: 並行輸入品. Hurry! Limited time offer. Offer valid only while supplies last. 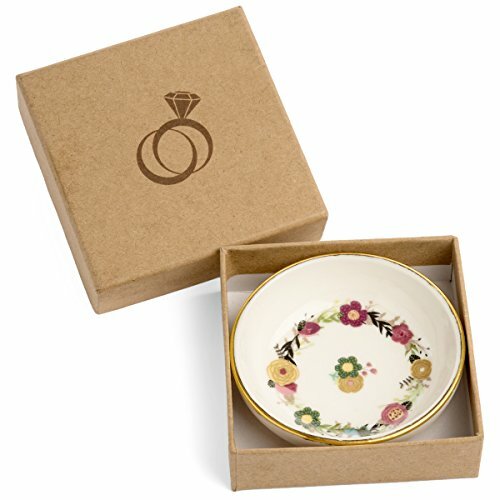 This small white ceramic dish decorated with flowers is great for holding your wedding rings as well as other small jewelry when not wearing them. Perfect gift for an engagement, wedding or newlyweds! If you have any questions about this product by SPIRA Designs, contact us by completing and submitting the form below. If you are looking for a specif part number, please include it with your message.